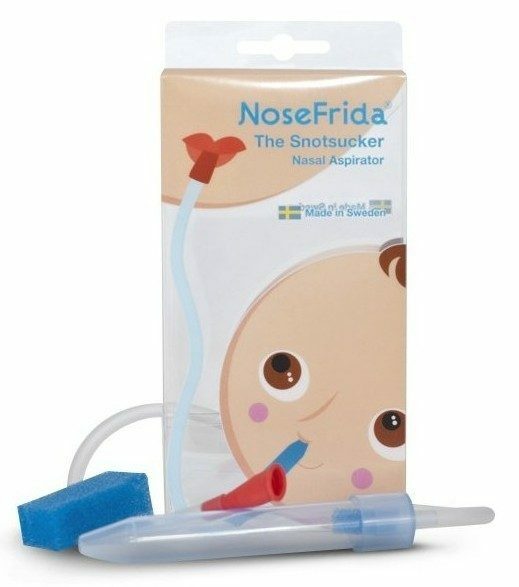 NoseFrida The Snotsucker Nasal Aspirator Only $9.33 + FREE Shipping! You are here: Home / Great Deals / Amazon Deals / NoseFrida The Snotsucker Nasal Aspirator Only $9.33 + FREE Shipping! Head over to Amazon to get the NoseFrida The Snotsucker Nasal Aspirator Only $9.33 + FREE Shipping before cold season starts! Doctor invented and recommended nasal aspirator that uses parents’ own suction to effectively clear babies’ stuffy noses. Disposable filters are clinically proven to prevent transfer of mucus or bacterial germs.